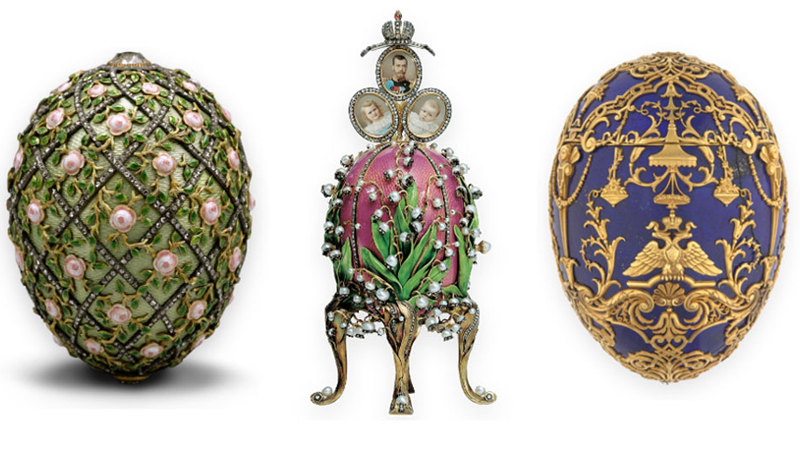 In celebration of Easter, we look back on the history of the most lavish Easter eggs ever made: the bejewelled and gilded Fabergé eggs first created for the Russian royal family between 1885 and 1917. Eggs have been an Easter icon for centuries, representing the birth of new life. 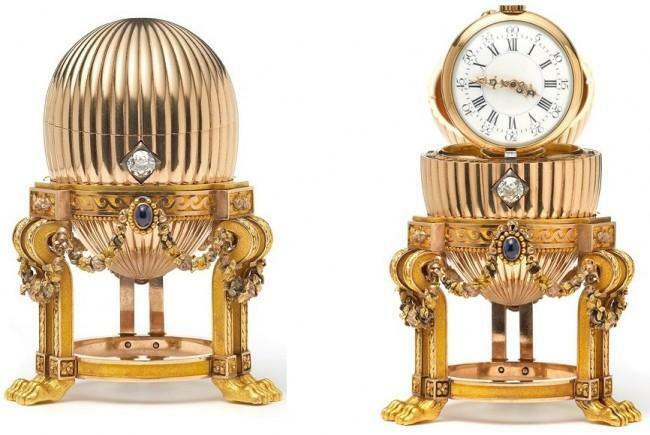 However, the humble egg was transformed into an opulent objet d'art under the masterful hand of Carl Fabergé in the late 19th century and these elaborate artworks continue to enthrall today with their royal history and multimillion dollar price tags. 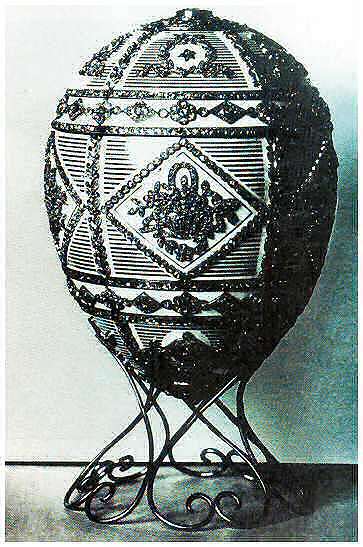 The first egg was commissioned by Tsar Alexander III in 1885 as an Easter gift for his wife, Empress Maria Feodorovna. 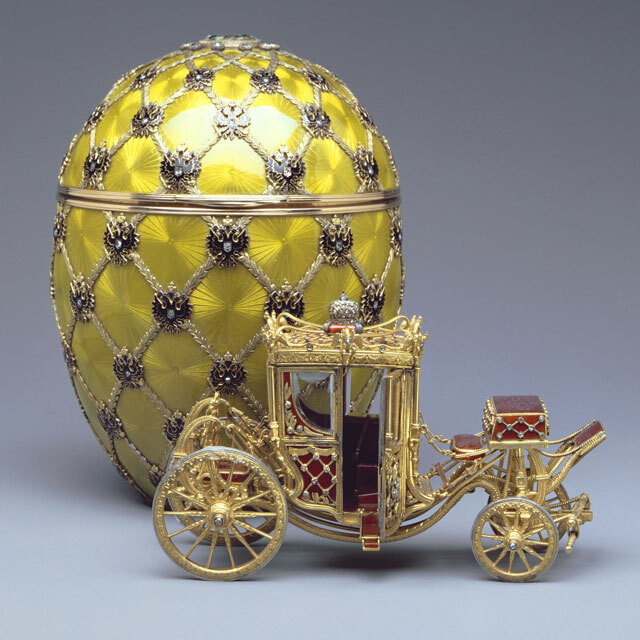 The original Fabergé egg was composed of solid gold and coated with white enamel to appear like an egg. Inside the white egg was a gold yolk, which held a gold hen with ruby eyes. Furthermore, within the hen's tail feather were a mini gold and diamond imperial crown and a ruby pendant. 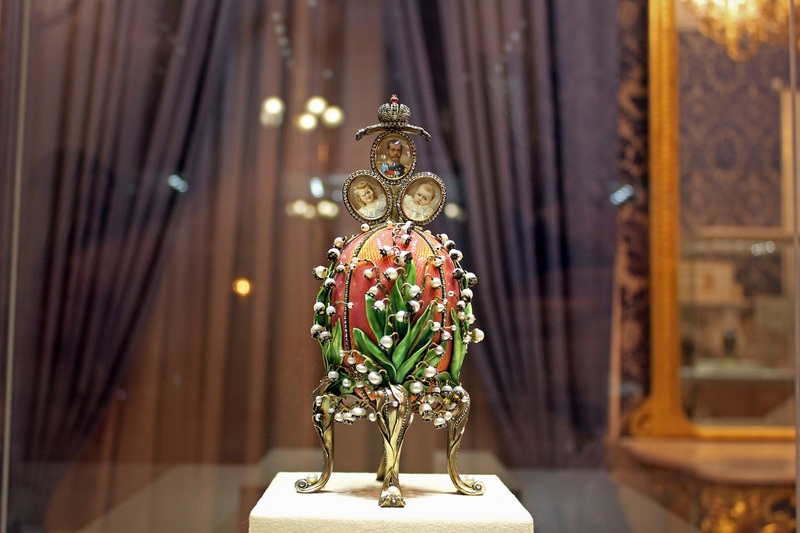 The surprise element of this exquisite egg delighted the Empress and from then on, the Tsar ordered an egg for each Easter, with the only request being that each egg had to reveal a surprise. After Tsar Alexander III's death in 1894, his son, Nicholas II, carried out the ritual gifting of an egg to both his wife and mother. Between 1885 and 1917, the year of the Russian Revolution and overthrow of the imperial family, 50 eggs were created for the two Empresses. 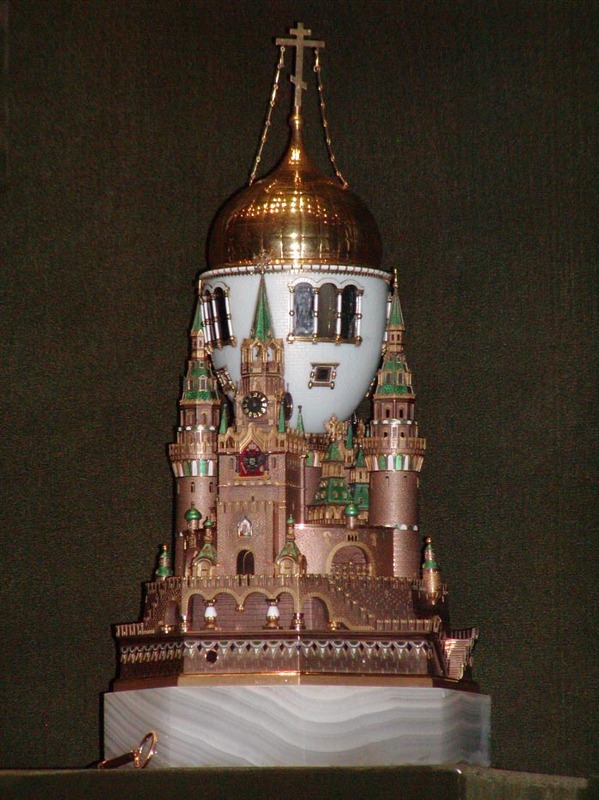 The eggs often celebrated the Romanov family and Russian history, for example, the 1906 egg was built into a mini replica of the Moscow Kremlin, and the Coronation egg to celebrate the coronation of Tsar Nicholas II in 1896 with a replica of Catherine the Great's 18th century royal coach. This in turn inspired other European elites of the period to commission their own Easter gifts, including the wealthy industrialist Kelch family, who ordered 12 eggs, the Rothschild banking family, and Conseulo Vanderbilt, the Duchess of Marlborough. In 1917, the Bolsheviks overthrew the Russian royal family and nationalised the House of Fabergé, so the Fabergé family fled to Switzerland. All of the imperial jewels, including the Fabergé eggs, were moved into the Kremlin armoury by Vladimir Lenin. Many had already been taken by the family and other owners elsewhere in Europe: of the 65 known eggs, 57 survived destruction or loss. A decade later, under the regime of Jospeh Stalin, money was desperately needed to fund the Soviet Union. Instead of melting down the eggs for their precious metals, he secretly sold them on the black market for far less than their market value so he could obtain easy cash. 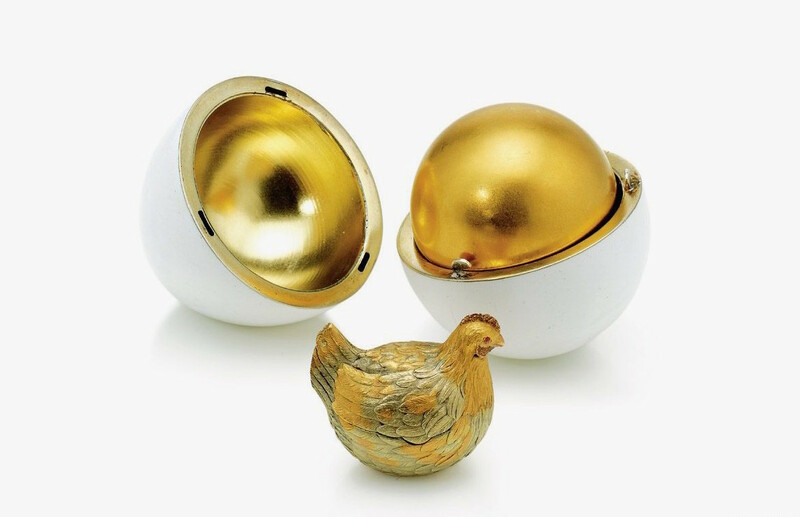 Buyers of the 14 eggs included American businessman Armand Hammer and British jeweller Emanuel Snowman. In 2004, billionaire Malcolm Forbes was set to auction his nine Fabergé eggs and 180 other Fabergé pieces at Christie's, but Russian oligarch Viktor Vekselberg swooped in to purchase the entire collection before the public sale, allegedly spending $100 million (£76.5 mil) for it. In addition, he acquired six other Fabergé eggs and opened the Fabergé Museum in St Petersburg in 2016. 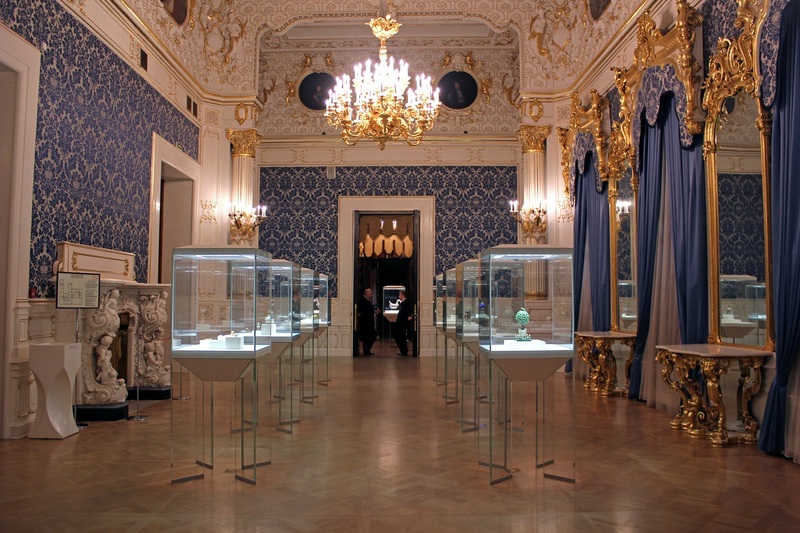 The collection holds 15 Fabergé eggs: nine Imperial eggs, four Kelch eggs and four additional eggs. 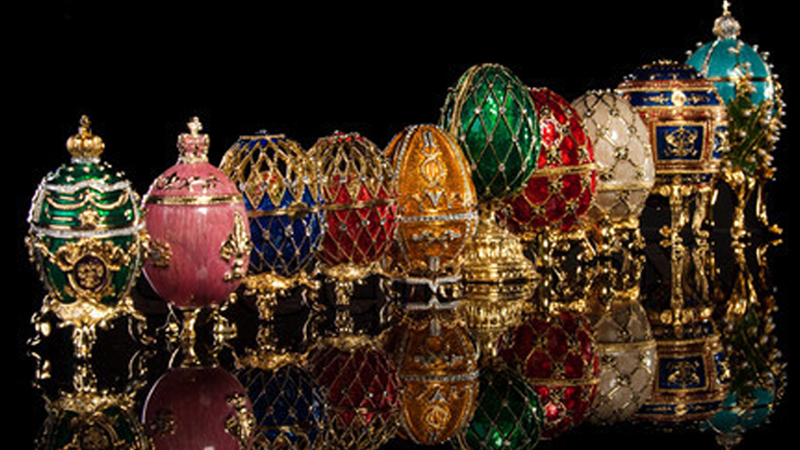 The most expensive egg ever sold at auction however, is the Rothschild family's Fabergé egg. It was made in 1902 as an engagement gift to the fiancé of Baron Edouard de Rothschild. 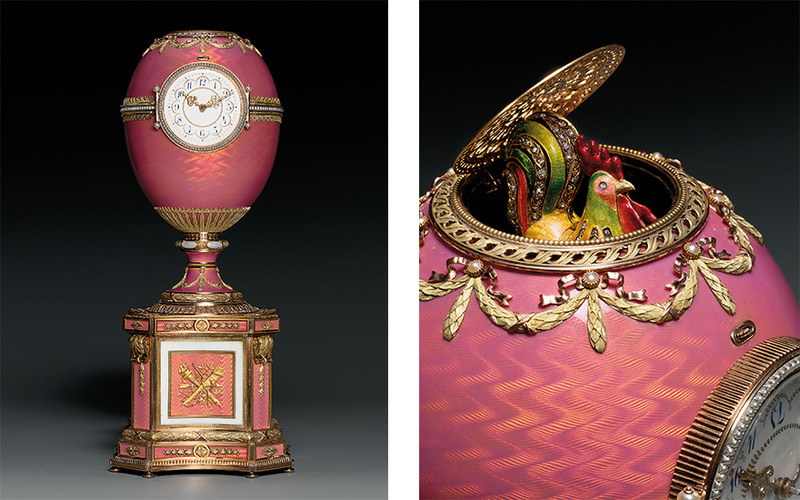 The rose-coloured egg has a clock on its façade and a diamond-encrusted rooster pops out of the top of the egg every hour. After 105 years in the Rothschild family, it was offered for auction at Christie's in 2007 and sold for $16.5 million (£12.6 mil) to Alexander Ivanov, a Russian art collector and director of the Russian National Museum. It is currently displayed at St. Petersburg's Hermitage Museum. 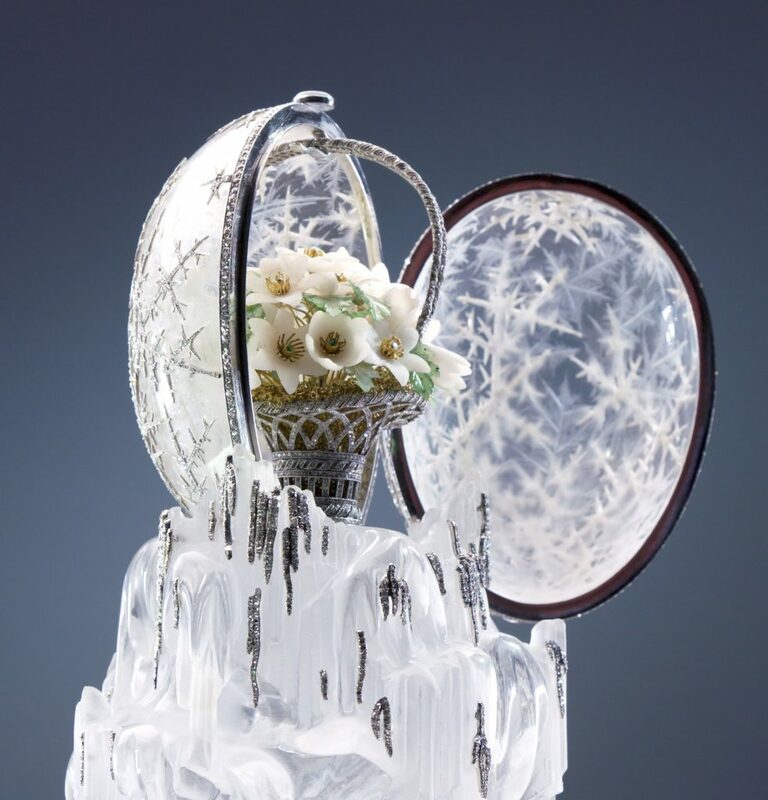 The second most expensive egg sold at auction is the Winter Egg, an Imperial gift to Empress Maria Feodorovna for Easter 1913 from her son that boasts a frosted façade and thousands of diamonds with a surprise flower basket inside. It was purchased by the Emir of Qatar for $9.6 million (£7.34 mil) at Christie's in 2002. Of the 50 eggs made for the Russian Imperial family, only 43 have been located, meaning 7 are still hidden. Photographs of two of the eggs exist: the Royal Danish egg which was made for Empress Feodorovna on the occasion of the 40th anniversary of the coronation of her father, the King of Denmark and the Alexander III Commemorative egg for the 15th anniversary of the death of Alexander III, the Emperor of Russia. While records remain for some of the eggs, the exact whereabouts and owners of these seven remaining Imperial eggs are unknown. Let the Easter egg hunting begin!